for adding a link to our blog from their links page! This will help us promote The Rabbit Sanctuary blog and thus save more precious little bunnies from dreadful fates. We recommend The Cruelty Free Shop and purchase our products from there. NO ANIMAL PRODUCTS AT ALL! 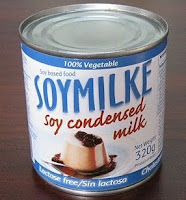 Soy Sweetened Condensed Milk! 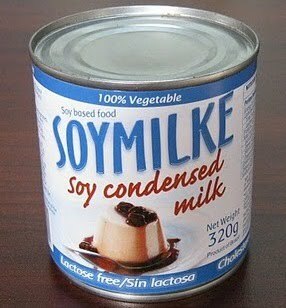 Great for fudge, caramel slice, toffee (see recipe on our site), caramel sauce and any other recipe that calls for regular sweetened condensed milk - it also tastes pretty good with a spoon straight out of the can. 320g. Ingredients: sugar, water, palm oil (sourced from Brazil so does not impact upon Orang-utan habitat), soy extract, maize, glucose, refined salt, aromas, stabiliser sodium citrate. Vegan. Non GMO. Lactose-free, dairy-free, cholesterol-free, gluten-free, trans fat-free.